We love visiting the library and picking out picture books for each for each holiday. 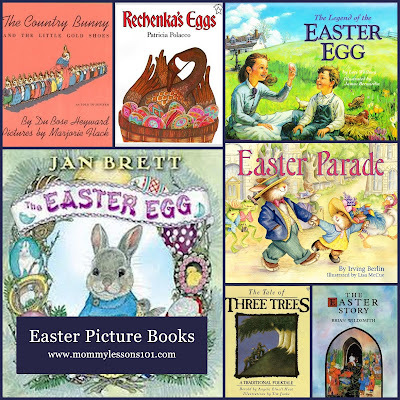 Below are a few of our favorite Easter picture books that we picked up at the library this year. 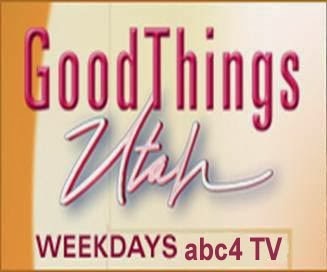 Some are secular, and others are religious, but they were all fun books with great values and good stories. Happy Easter and Happy Reading! This Russian tale is of Babushka who cares for a wounded goose during the winter. She also spends all winter painstakingly painting eggs for the spring, but when the goose accidentally breaks all of the precious eggs that Babushka had painted, the goose magically gives Babushka even more beautiful eggs in return. This is a classic book about a little girl bunny who longs to be the Easter Bunny, but she is told she never could do it because she isn't as big and strong as the male Jack Rabbits. She grows up to be a mother of 21 little bunnies and she shows everyone that as a mother she is strong, fast, and clever enough to be an Easter Bunny. Most important, she shows she has a heart caring and brave enough to be the Easter Bunny. This book has the true story of Easter told from the point of view of a donkey. The illustrations are big and beautiful, and it can be a good supplement to reading the Easter story from the Bible. This is a sequel to one of our favorite Christmas books The Legend of the Candy Cane. It is a bit more sad--as it tells how a brother has to leave his family for a few weeks while his sister is quarantined because of sickness. But through the book, he discovers the joy of spring, of the true Easter story, and the new hope that Easter brings. I love how the symbolism of the egg is shared. After reading this book, our own egg dyeing seemed to take on a bit more meaning. The Tale of Three Trees: A Traditional Folktale by Angela Elwell Hunt/Tim Jonke. This book tells how three trees imagine the great things that they want to do. None of their dreams happen as they plan, but instead they find even greater joy because they all play a part in the life of Jesus Christ. One tree ends up being the manger, another is a fishing boat, and the third is the cross. We love the message of this book and we read this book at both Christmas and Easter. If you are a fan of Jan Brett's detailed and beautiful illustrations then you will enjoy this Easter themed book in which a bunny searches for the perfect way to make an Easter egg. In the end, the bunny helps out mother Robin by guarding a real live egg. My kids loved all the varieties of eggs shown in this book--wooden, chocolate, painted, mechanical, etc. This is an illustrated version of the classic Easter Parade song. Different animals are shown dressed up and parading around in the book. It is a short and fun book for young kids. We also always like to have our own "Easter Parade" around our house while marching to the song. (We got our version of the book from the local library--it does look like it's out of print so if you want to buy it, you'll have to get a used copy). 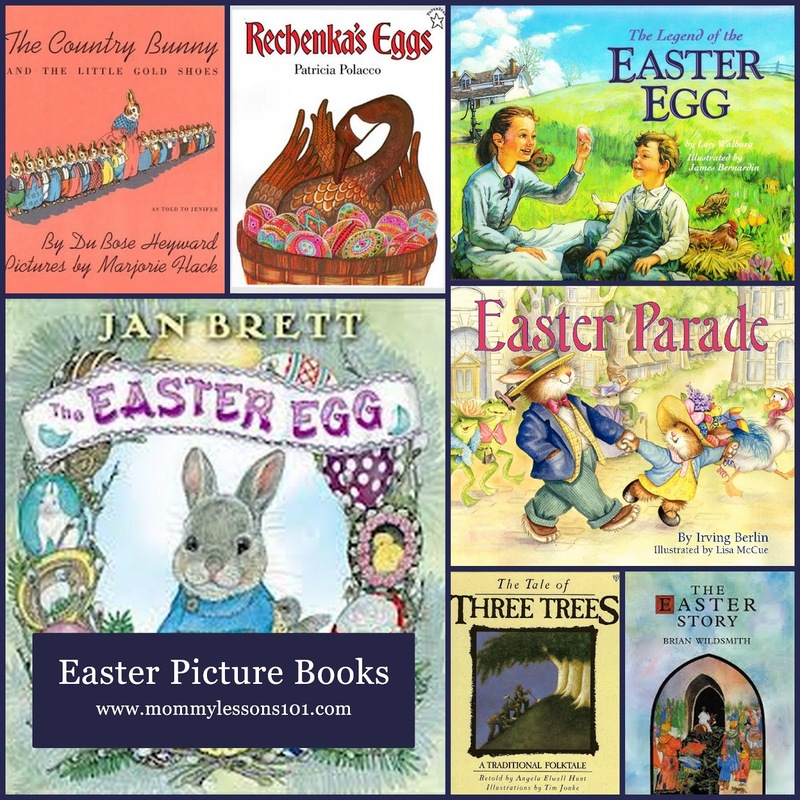 Do you have any other favorite Easter picture books? We'd love to hear your comments below? 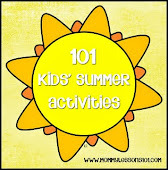 Also, don't forget to check out all of our Easter activity ideas here.